Contemporary Art), delivered speeches over the two days of the forum. The consensus among the speakers was that ‘sustainable design matters’. 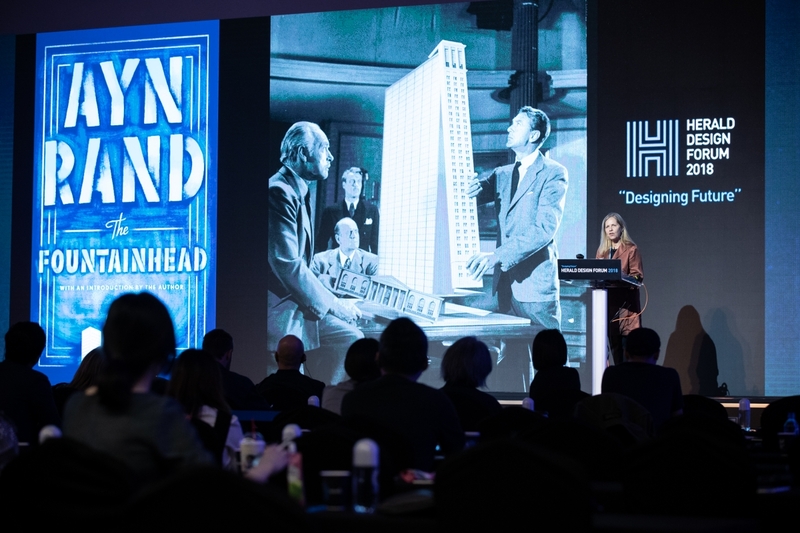 Of particular note was the lecture given on the second day by Martha Thorne (executive director, Pritzker Architecture Prize), ‘What Now, How Now and Who Now’, on how to pursue architectural and artistic activities at a time of such confusion. She noted that recent award-winning work focuses on how architecture is used in society rather than exclusively on its artistic elements, and that architecture should worry about sustainable living in the city through integrated thinking, including global warming and the consideration of environmental issues. She responded to an essential question, ‘why do you think that there are no Pritzker winners in Korea?’, answering that ‘in the case of Japanese architects, the promotion of good buildings in English and the fact that many people in Western world has the universal understanding of the Japanese architectural and cultural text are combined to create the winners. I think that Korea also have the potential to have the winner of the Pritzker if architects are actively promoted in English and the communication to help understand the background of Korean culture is promoted’. Deyan Sudjic (director, the Design Museum in London) also discussed design in a changing era. He noted that ‘during​ industrialization, the role of design was to make products so that consumers could buy things. However, now we have to think about whether we have to make this product and what effect it has.’ In answer to the question, ‘many jobs will disappear in the future. What designers should do?’, he suggested, ‘many people are looking for an immediate and easy solution. Designers should try to ask questions rather than answer them. Then you will be able to find the role’.